What does eco-friendly mobility usage in cities look like? The SmartQuartier bet will find the answer! 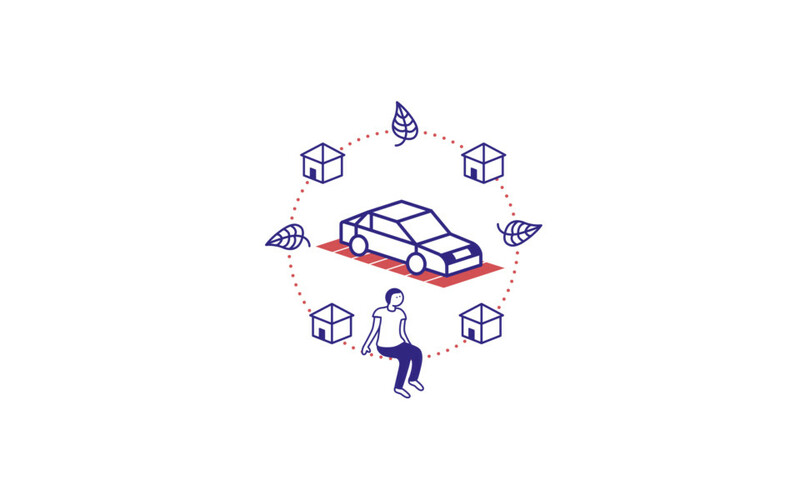 The team bets that they can develop a SmartQuartier in Zurich, where a test field with advanced public and logistics transportation solutions will be implemented by December 2017. By June 2018, transportation in the SmartQuartier will be based on renewable energy and by April 2019, its road usage will be reduced by 20% and traffic-based CO2 emissions by 30%. Due to an inefficient use of resources, traffic congestion in cities is high. In 2016, for example, Zurich showed 31% extra travel time on streets. The majority of private traffic is still fossil-fuel based and there is little multimodality in both public transportation and logistics. The solution is a flexible, on-demand and automated public transportation service. This includes the need for a logistics mini-hub as well as energy self-sufficient operations through digital interfaces between mobility systems and infrastructures for energy production. Automated transportation enables higher traffic flow and security while reducing land usage and CO2 emissions. More insights on the Mobility Roundtable can be found here.